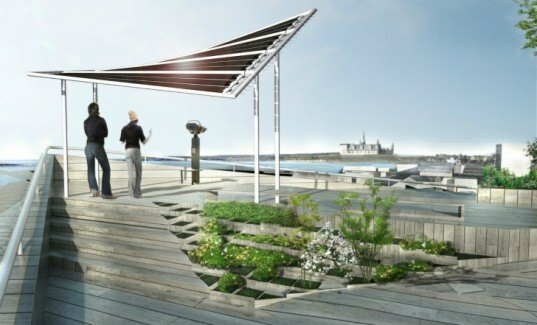 Integrating advanced solar technology with flexible textiles, U.S. based Pvilion has created an innovative, energy-harnessing material that could eventually be applied to an array of architectural designs. Using photovoltaic (PV) fabrics, Pvilion’s pliable voltaic can be adjusted and re-adjusted to meet optimal sun capture. Currently, the company is focusing on applying the new technology to solar charging stations for battery powered vehicles, and to small to large-scale pavilions for events.